This book, companion to the much-acclaimed Dalit Literatures in India, examines questions of aesthetics and literary representation in a wide range of Dalit literary texts. 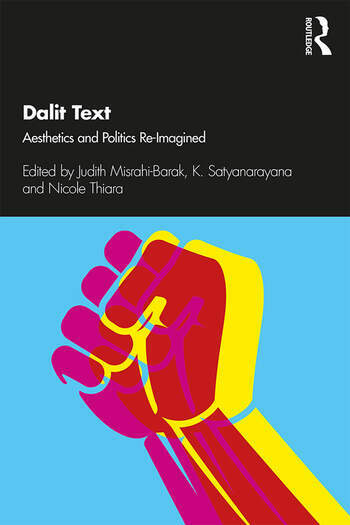 It looks at how Dalit literature, born from the struggle against social and political injustice, invokes the rich and complex legacy of oral, folk and performative traditions of marginalised voices. The essays and interviews systematically explore a range of literary forms, from autobiographies, memoirs and other testimonial narratives to poems, novels or short stories to foreground the diversity of Dalit creation. Showcasing the interplay between the aesthetic and political for a genre of writing that has ‘change’ as its goal, the volume aims to make Dalit writing more accessible to a wider public, for the Dalit voices to be heard and understood. The volume also shows how the genre has revolutionised the concept of what literature is supposed to mean and define. Effervescent first-person accounts, socially militant activism and sharp critiques of a little explored literary terrain make this essential reading for scholars and researchers of social exclusion and discrimination studies, literature, especially comparative literature, translation studies, politics, human rights and culture studies. Judith Misrahi-Barak is Associate Professor at University Paul Valéry Montpellier 3, France. She has published widely on Caribbean and Indo- and Sino-Caribbean writers, and diaspora literatures. She is General editor of the series PoCoPages (Pulm). She co-edited Dalit Literatures in India with Joshil K. Abraham (2015; 2nd edition 2018) and was Co-Investigator on the AHRC Research Network series on ‘Writing, Analysing, Translating Dalit Literature’ (2014-16). K. Satyanarayana is Professor in the Department of Cultural Studies at the English and Foreign Language University, in Hyderabad, India. He co-edited two volumes of new Dalit writing: No Alphabet in Sight (2011) and Steel Nibs Are Sprouting (2013) and most recently, Dalit Studies (2016). He also regularly publishes articles in the press. Nicole Thiara teaches postcolonial and contemporary literature at Nottingham Trent University, UK. She published Salman Rushdie and Indian Historiography: Writing the Nation into Being (2009) and articles on Dalit literature, contemporary South Asian literature and the British Asian diaspora. She was Principal-Investigator on the AHRC Research Network series on ‘Writing, Analysing, Translating Dalit Literature’ (2014-16).